The SLX is that rare bat – lighter in physical weight, elegantly scaled back but still enormously powerful and controlled. Making a lighter bat is not about simple reduction of dimension, but understanding where the power originates and balancing each element precisely to maximise drive. 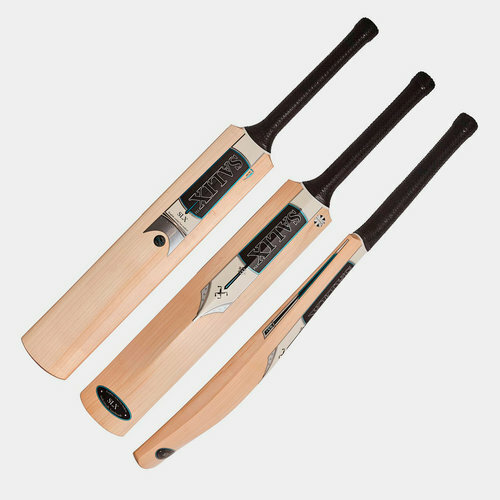 Power comes from core strength, the weight of willow through the core of the bat, so the SLX shares the substantial core of the X and Pod, but the shoulders and edges have been slimmed to achieve the lightest pick-up. An extended low bow then leads naturally into the lower driving area. The SLX has a beautiful profile showcasing classic handmaking, underpinned by very advanced manufacturing to ensure sublime performance in the lighter range.